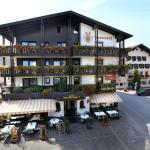 The delightful town of Westendorf, known as "the most beautiful village in Europe" is set in a wonderful position, in a very sunny plateau about 800 meters above sea level, in the heart of the Brixental Valley, surrounded by the Alps of Kitzbühel. The enchanting surroundings are the ideal place to practice all the more enjoyable sports in contact with nature, like hiking, swimming and more. The enchanting surroundings are the ideal place to practice all the more enjoyable sports in contact with nature, like hiking, swimming and more. During the winter season the ski area Wilder Kaiser-Brixtental valley is connected to the cable car to the area of Kitzbühel by the Ki-West lift. With just one pass you can explore the whole area, which includes 59 ski schools, 192 lodges and restaurants, 249 lifts and 704 km of slopes. The cableway leaves from Westendorf to reach the ski slopes. 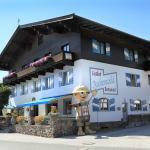 Do not miss Westendorf during the Carnival, when the fun "Jump and Freeze" festival takes place. The braver can try to jump on skis a huge puddle of water. The show is made even funnier by the zany carnival costumes worn by participants. 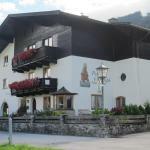 The Pension Christoph is a charming property located next to the ski lifts and the ski slopes but at the same time allows to reach the centre of Westendorf in a few minutes. 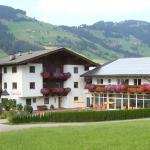 Active Wellness - Appartement Schermerhof is located near the ski and cross-country slopes on the outskirts of the village of Westendorf. The hotel has a spa and fitness area. 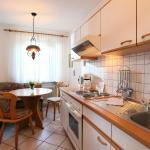 Pension Elisabeth, situated in the centre of Westendorf in the beautiful region of Tyrol, is particularly appreciated by lovers of winter sports, thanks to its proximity to the ski lifts and cross-country slopes. 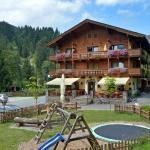 The Funpark Westendorf awaits you in Westendorf, in the beautiful setting of the Kitzbühel Alps. 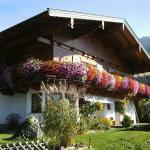 The location of this hostel is ideal for practicing outdoor sports, during the summer as well as during winter.